Computer-based information is more critical to organisations than ever, and yet hard drive crashes, spilled drinks, and accidental file deletion can occur at any time and put your organisation's future in jeopardy. One study showed that 93% of all companies that suffer significant data loss close down within five years. You need to protect your organisation's data, but you can forget about costly, inconvenient and troublesome tape drives to back up your network systems. 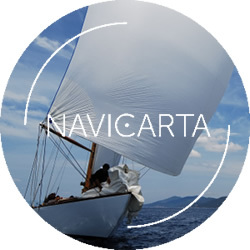 Navicarta offers secure online backup services, ensuring that your critical information is constantly backed up to a remote location and easily retrievable in case of data loss. Backed by online backup industry leader Mozy Pro, part of EMC, the largest provider of data storage systems in the world, our network server backup service protects your critical network data with military-grade encryption and secure storage. The service is flexible, allowing you to set policies on bandwidth usage and backup speeds, create custom backup sets or define what file types should be backed up. All this for just $15 per month per server plus $0.75 per GB backed up. For more information about network server backup, please contact us. We have partnered with Backblaze to provide a no fuss solution to getting all your desktop or notebook computer data backed up securely. Installed and configured in minutes, this service costs only $60 per year per computer for unlimited storage that is very easy to access and restore from online. The service is compatible with both Windows and Mac OS X computers. We use Backblaze on our own computers at Navicarta and highly recommend it to our clients. If you are looking for more than just online backup and need a full online file system that you can share across your organisation, we can set you up with leading online file storage providers such as ElephantDrive, DropBox or SugarSync. For a comprehensive file storage, backup, sharing and collaboration solution, we have partnered with Egnyte to offer their Cloud File Server, a business-class online system that completely eliminates the costs and complexity of purchasing and maintaining traditional file servers, tape backups, FTP and VPN systems. Access files from your PC, Mac or mobile device. In one secure, centrally-managed and easy-to-use solution, you have unprecedented file access control which can be administered from anywhere on the internet. In combination with its Local Cloud technology, Egnyte also enables fast local edit capabilities and offline access to your files. For more information about Egnyte or our other online file storage offerings, please contact us.